"Many townspeople hoped that other areas in the town could be illuminated like the area below the bridge access ways," explained Anne Mohr from the municipal works department. 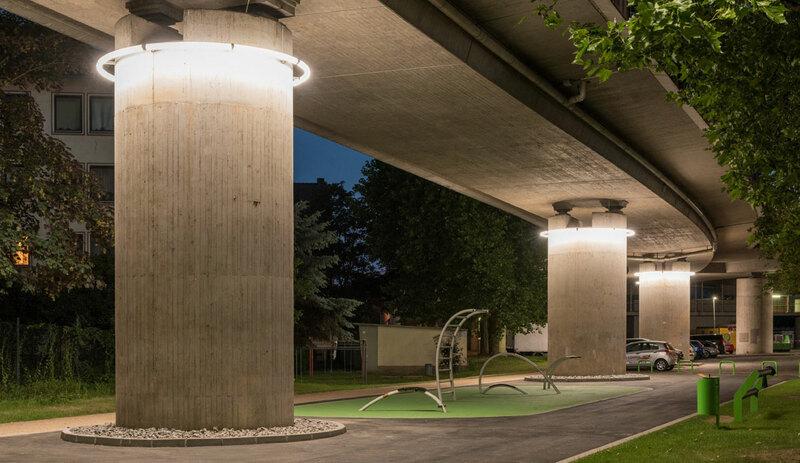 The special luminaires are genuine highlights for Neuwied in the true sense of the word, illuminating the bridge area and even the smallest corners from high heights. TRILUX Architectural and responsible for the sophisticated special design solutions and customised new constructions. The custom products, a total of 15, are highly unique and can only be seen in the Rhineland-Palatinate town of Neuwied. The Raiffeisen Bridge interconnects the towns of Neuwied and Weißenthurm and features six lanes spanning the Rhein River. Vehicles reach the bridge via access ways supported by the massive concrete piles. Over 3,000 square metres of surface area previously used for parking purposes have now been redesigned to create an event area. Following refurbishment, active group events are held between the giant concrete pillars to which the light capitals have been mounted. It's now the location for goal walls, a climbing egg, streetball baskets and slack line. 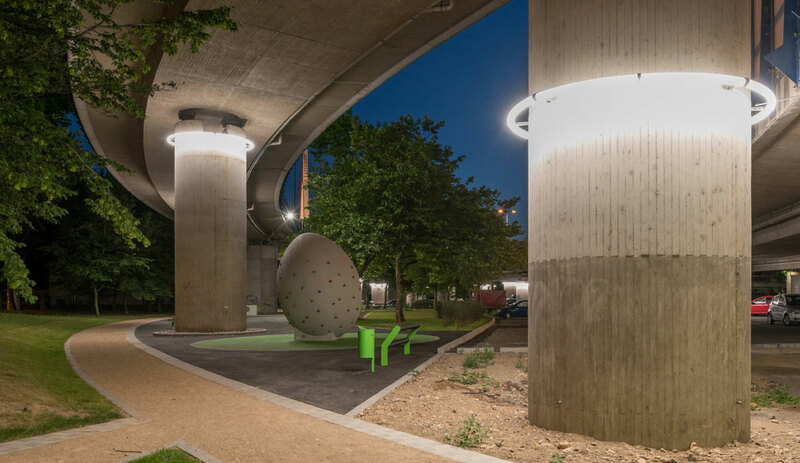 As part of the "Social City" federal state program, not only seating places and outdoor sports equipment were added to the parking lots below the Raiffeisen Bridge – the area became more of a social location where all residents could get together. "The area always had a feeling of fear about it," explained Anne Mohr, manager of the Social City project. 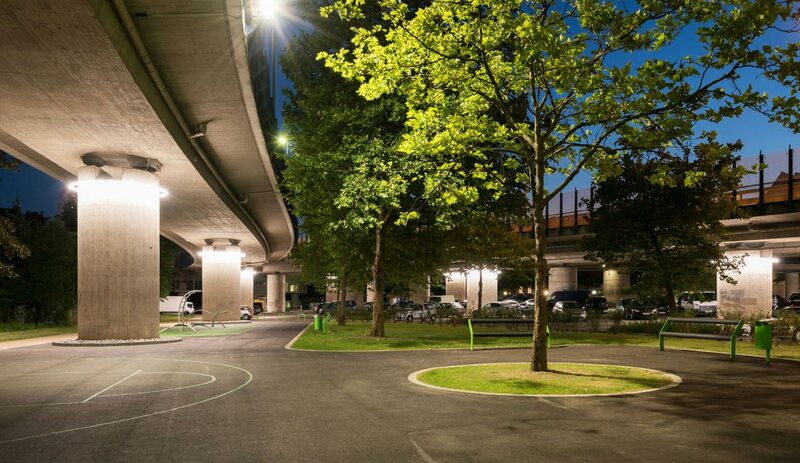 The parking lots below the highways separate a residential area from the inner city, and thanks to the special lighting dark areas are now a thing of the past and uncomfortable feelings have been transformed into a sense of well-being.